In order to be a fruit hunter I decided that I was on a mission to find a fruit that I had never seen or eaten before. I thought that I had tried all the common fruit that would grow on a farm so this could pose some difficulty. Little did I know that one of our local farmers was growing an exotic fruit from the desert! 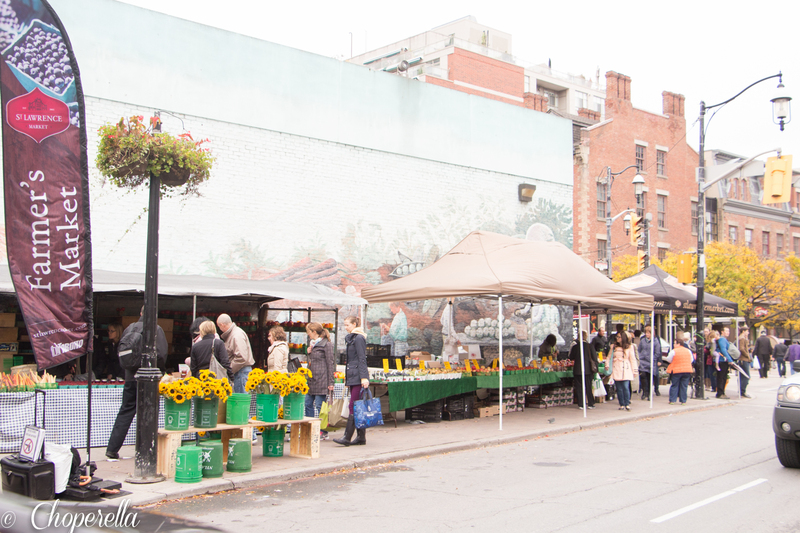 I decided to visit my favourite farmers market, St. Lawrence Market on a Saturday morning. Only on Saturday’s do they open the farmers market across the street where there are a variety of farms. They have everything from your common vegetables and fruits, cheese, eggs, baked goods, specialty teas and meats. I walked around the entire market taking pictures and chatting with the families and farmers until I found a fruit that was different and caught my eye. 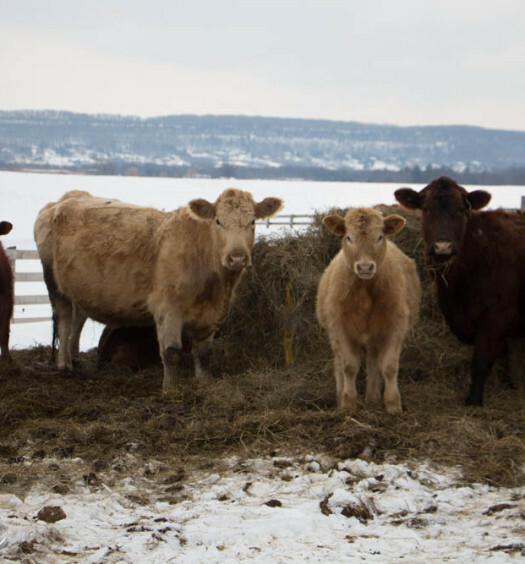 I landed at Sovereign Farms from Waterford, ON. 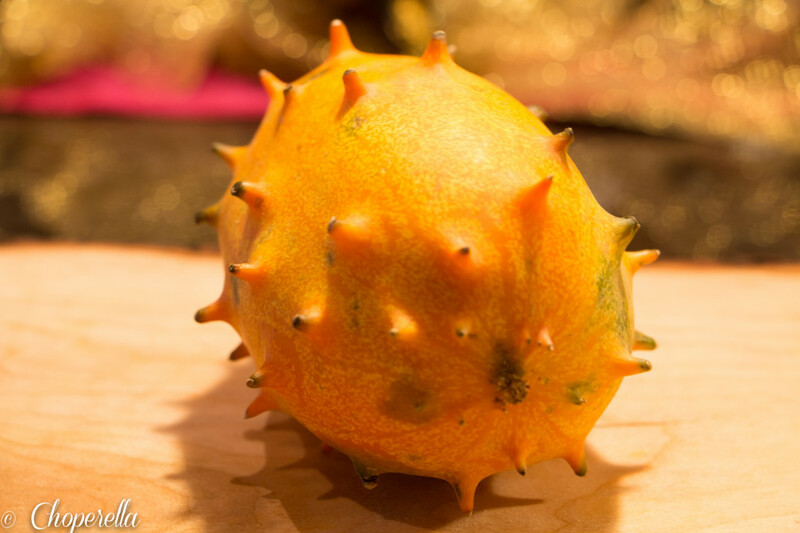 They had an interesting looking fruit called a “Horned Melon”. It was green and orange, looked freaky with horns all over the exterior. I had never seen it before and thought how interesting it was for an Ontario farm to grow a fruit native in a South African Desert. 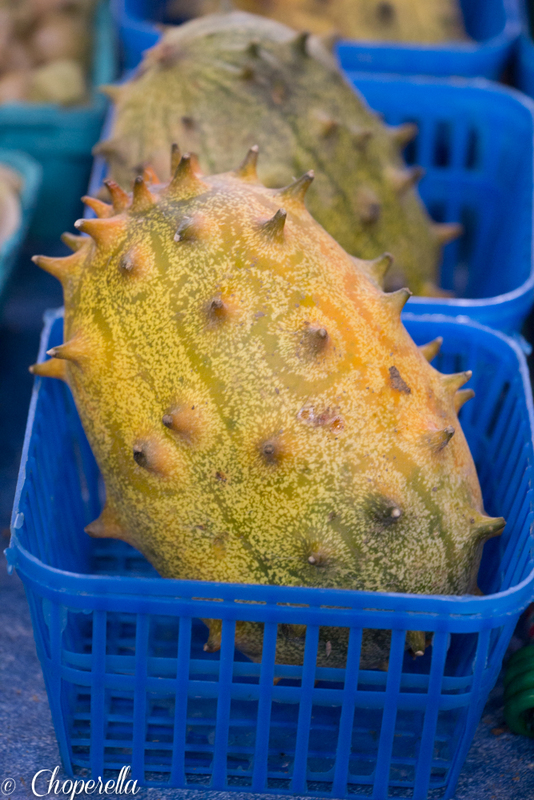 History: Originally the horned melon also known as a Kiwano is native to the Kalahari Desert in South Africa. The fruit is typically grown in the beginning of spring and throughout the summer. 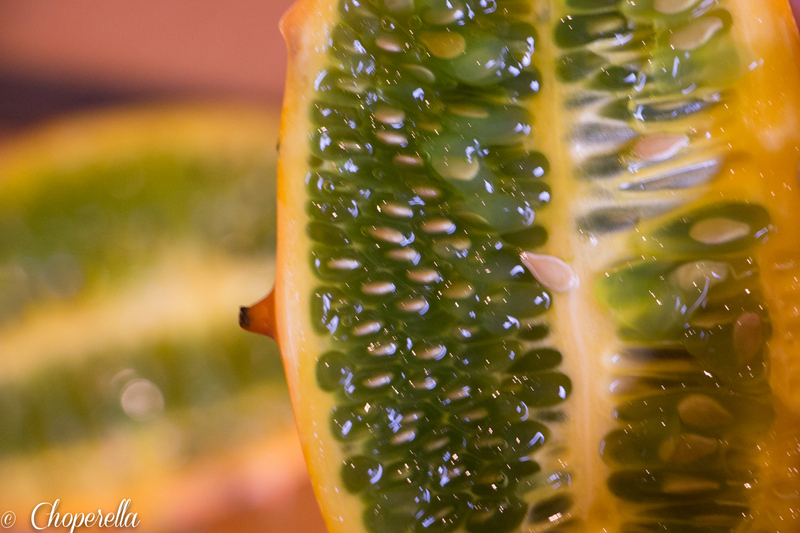 Historically the fruit has been used as a source of water in the desert, as well as to increase the nutrition level. It is a member of the Cucurbitaceae family, which includes cucumbers, melons and squashes (Specialty Produce). They were priced well at the market (Also the only current place I could find in Canada that sells them!!) at $1.00 a piece. The farmer told me to let the fruit ripen until the exterior was more of a vibrant orange which would increase its’ sweetness. It was very easy to cut open and the colours were so vibrant as you can see. What was inside? 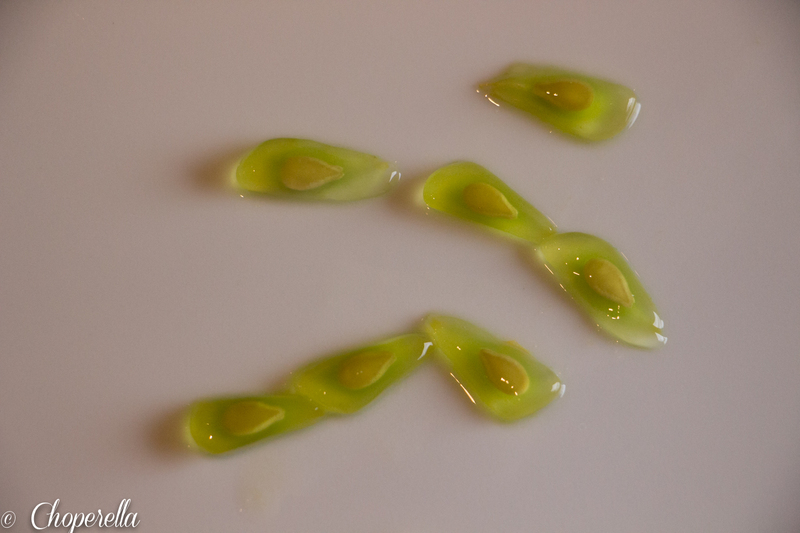 The flesh is a bright green with white seeds similar to a cucumber. 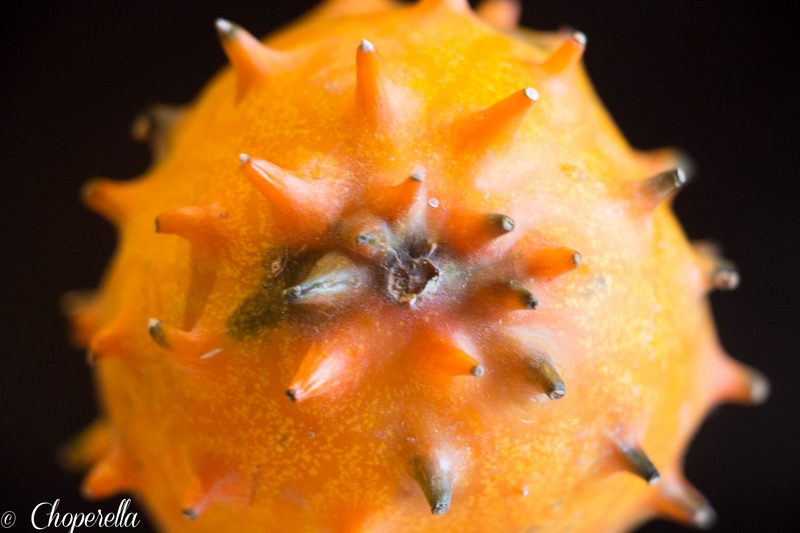 There are little stringy membranes, which hold all of the seeds similar to the inside of a melon or squash. It didn’t have much of a smell other than that of a cucumber-melon scent, which was quite pleasant.The seeds/pulp came apart easily from the membrane when scraped with a spoon. 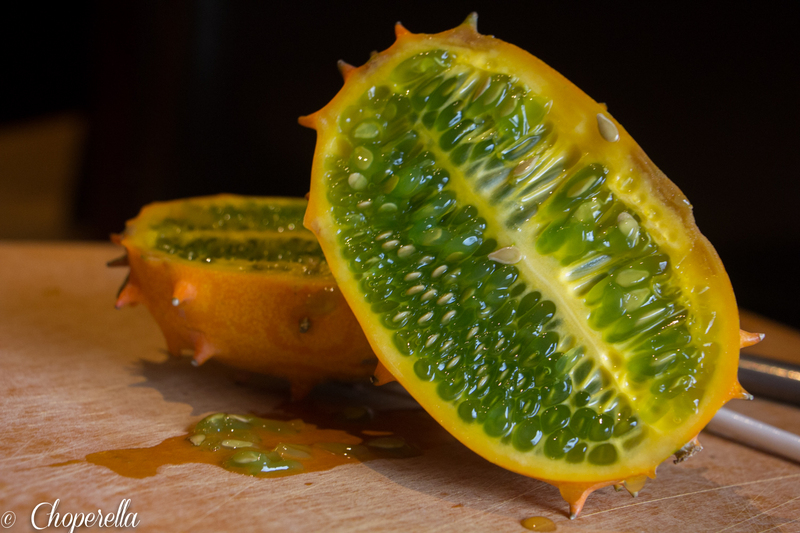 They held their shape well and felt like the inside of a passion fruit with a slimy exterior and tough seed. These flesh and seeds didn’t have much flavour. They tasted just like the seeds of a seeded cucumber and had a pleasant mouth feel. I would definitely try this fruit again. I enjoyed the jelly like texture and simple flavour. Can you cook it? In terms of cooking or re purposing this fruit there are not too many options. It’s mainly used in sauces, salsas, fruit salads and smoothies. It can be used with or without the seeds with the exterior shell being used as a garnish or bowl. I personally would not do anything further to this fruit, I would enjoy it as is by the spoonful. Overall, I’m glad I tried this fruit! Usually foods that look abnormal and freaky…freak me out so I steer away from them. This time I pushed myself to try it and enjoyed it. I will encourage all of you to try a new food that looks funny or you’ve been avoiding trying. There’s no harm in doing it except learning more about your taste preferences. Wow, what a bizzarel looking fruit, I’ve never even heard of it!